Hailing from Sicily, Oi Dipnoi draws deeply from the wells of tradition while creating a new sound full of personality. The repertoire is rooted in the musical heritage of the region that was collected over the years from remaining communities of shepherds and carters. It is presented to us in a vivid version where the diatonic accordion is supported by a strong rhythm section of bass and percussion, thanks to a charming and light fusion with elements of jazz and progressive archaic folk. The “dipnoi” is a metaphor for the current music scene in Sicily – prehistoric fish / living fossils that have adapted for survival. 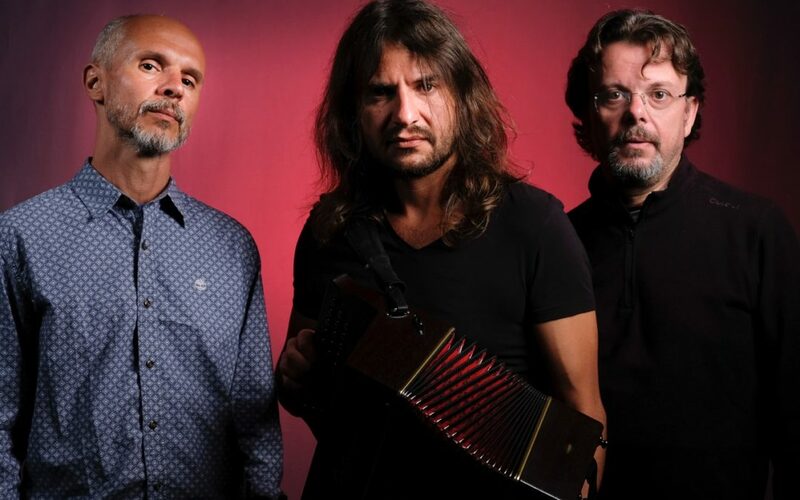 The trio, formed in 2013, has already performed successfully in various folk festivals across Italy, France, Hungary, Croatia, India and Australia. Their debut album “Bastrika” was released in November 2015 in Hungary by NarRator Records. They are in the process of releasing their second “Pontos” in January 2018.